Shay Rouge – packaged in RED, just the way Island girl likes it! I’ve always been attracted to strong sensual scents and at this point may have the most number of YSL’s Champagne or Yvresse as its better known in the Middle East when I found out it was not going to be forever produced like the Chanel No. 5 type classics. So when Emirati Perfume house Anfasic Dokhoon created Shay Rouge, its new limited edition scent for exclusive sale at Galleries Lafayette, I made a beeline to test it because I was told it was a scent I would like – a ‘strong’ perfume with subtle notes…that’s exactly how I would describe it. The former Emirates Airlines pilot who changed his career in pursuit of his passion for scents is highly regarded for his refined creations. The fragrance exhibits a rich cherry top note, enhanced by a glowing heart of romantic roses and exotic osmanthus that finally surrenders to the warmth and sensuality of the ‘oud’ base note. The ‘oud’ element certainly reflects the cultural heritage of Arabia that crosses boundaries – When I go home to Fiji Islands, the male family members expect me to take some form of oud for them with me and that’s the one thing they appreciate truly from Arabia that they can’t get easily in Fiji. The fragrance’s name pays homage to the dual influences of Arabian prestige and French glamour. 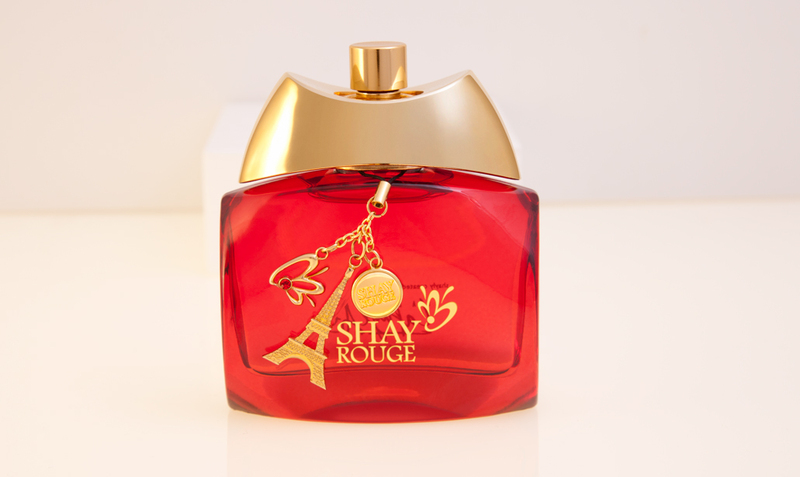 Rouge is French for red, but also ‘lipstick’ in both French and casual Arabic, while Shay™ means ‘wow’ in Emirati dialect. The scent of a ‘wow red lipstick’ is the inspiration of striking beauty, elegance and femininity, which is the effect that this fragrance will diffuse around its wearer. Anfasic Dokhoon brings to life a world of scents created by Emirati conceptualist Mohamed Hilal and Italian co-founder Olimpia T. Mascolo that embodies Arabian scents with the simplicity of style and minimalism….try it and see what you think?